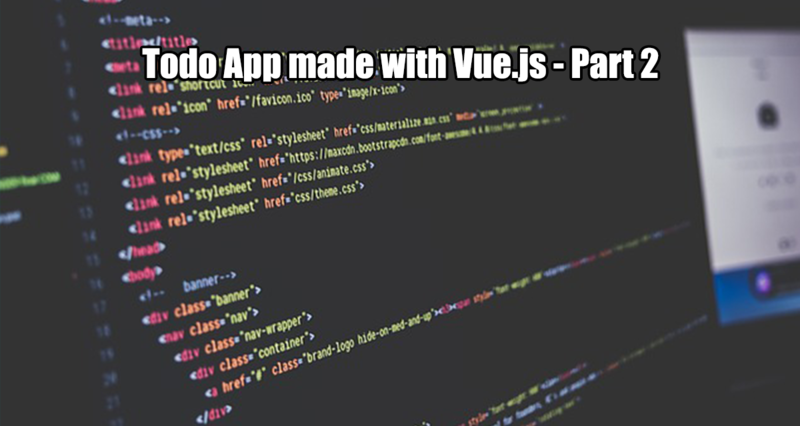 Following the first part where there was an introduction to Vue, tools and setting up a fresh project, comes the second part. In this tutorial, it's explained how the template or UI for the app can be created. To explore Vue’s main features, the tutorial's examples are with local data on the client-side. The todo app will be similar to Wunderlist. If you missed Part I, check out it here. Find out how to create a ToDo app, here. By Peter Sowah.